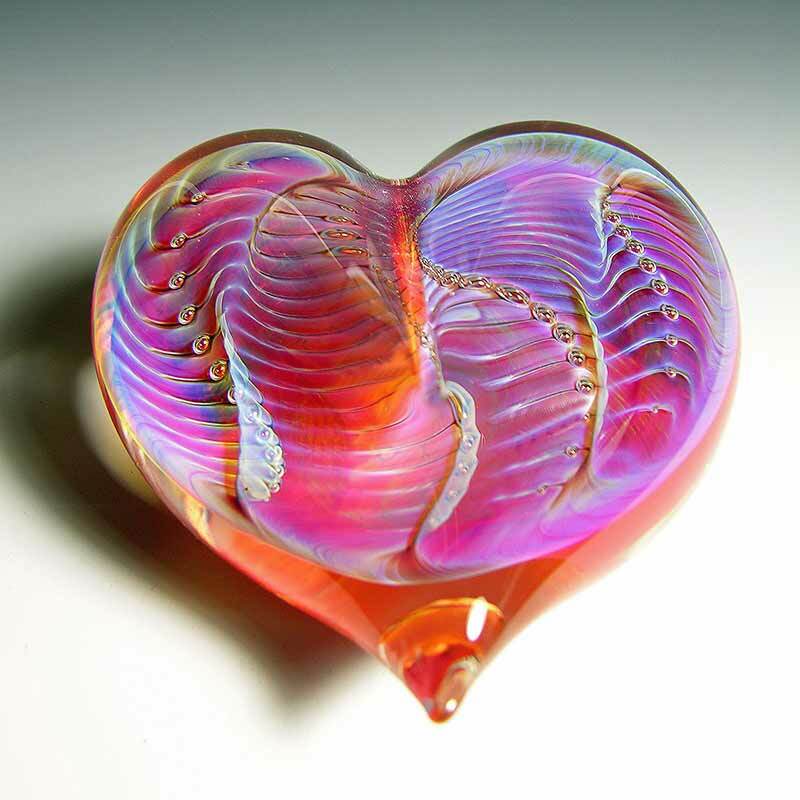 Small hearts are 1.75″ in diameter. 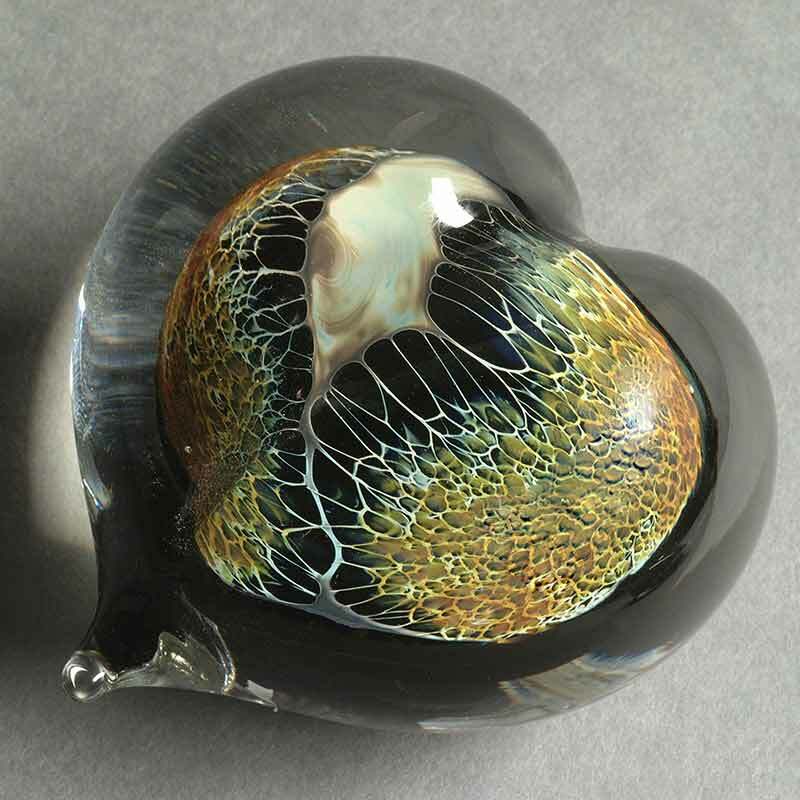 Medium hearts are 2.5″ in diameter. 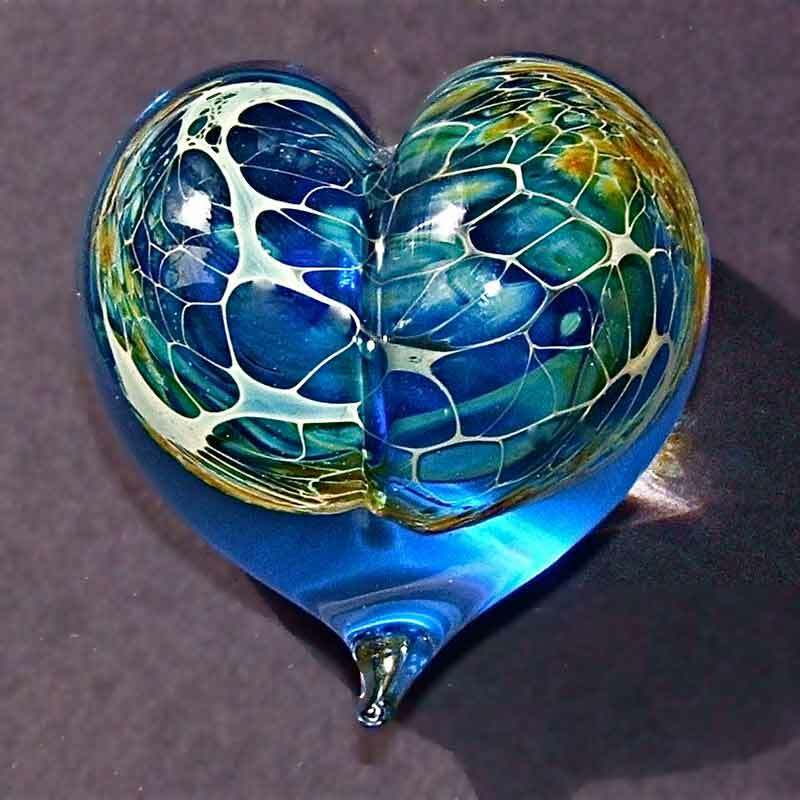 Large hearts are 3.5″ in diameter. Magenta and snow. 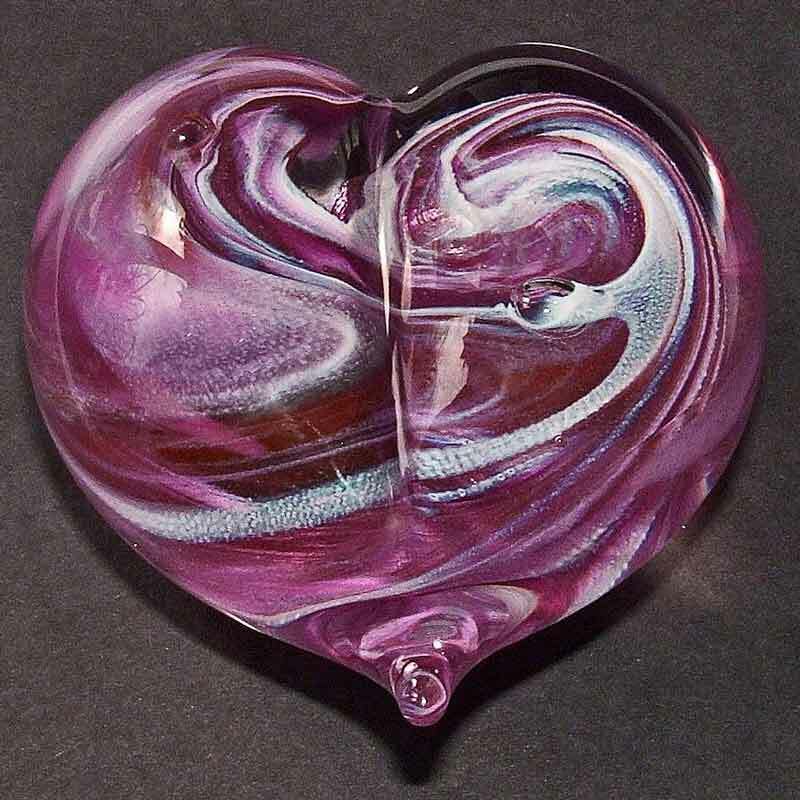 This hand blown glass heart combines two colors: ruby with a bit of cobalt and the white. When you look closely you see a lace-like effect where the two colors merge and work together. 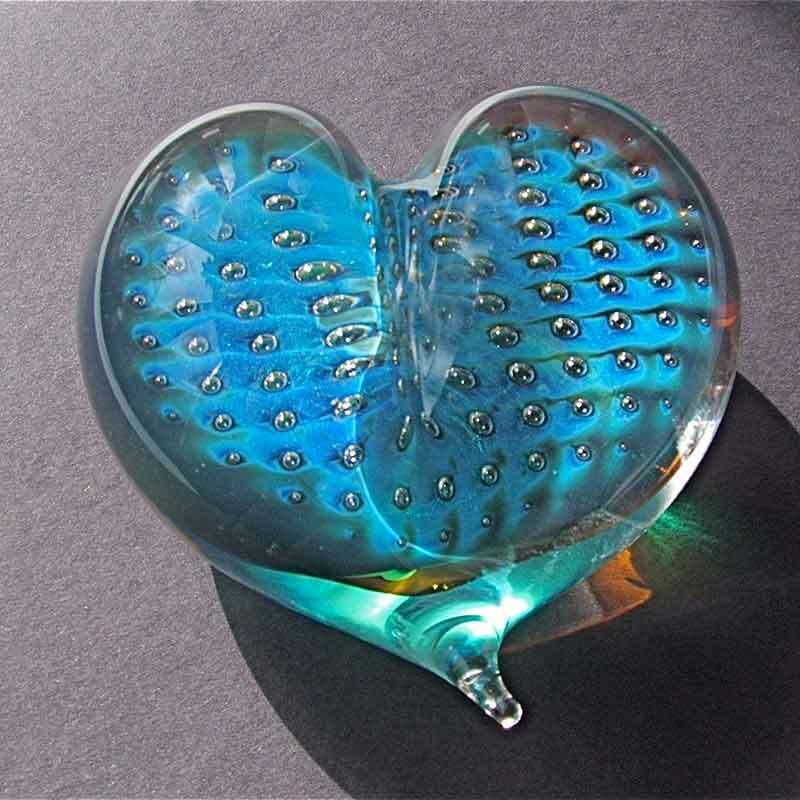 The hand blown heart is a shape that is sensuous, simple and elegant.